A debate has long been raging between France’s public intellectuals regarding Israel/Palestine and the question of anti-Semitism. From Jean-Paul Sartre’s 1946 Anti-Semite and Jew to Jacques Derrida’s “Interpretations at War” to Blanchot’s The Writing of the Disaster, France—the country with the largest population of Jews and Arabs in Europe—has been fertile ground for these public debates. Even amongst philosophical allies positions have been fragmented; Deleuze expressed his support for the Palestinian cause, while Foucault held a strong pro-Israel stance. Today, however, the debate has turned personal as well as ideological as attacks have been levelled against Alain Badiou, whose outspoken pro-Palestinian position and advocacy of a single state, along with his thoughts on anti-Semitism, have aroused much debate. 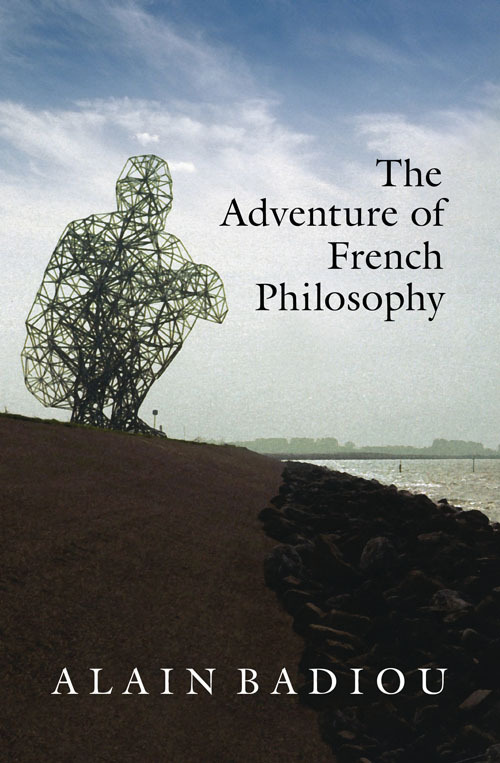 Leading the charge is Éric Marty, a professor of contemporary literature at the University of Paris-7 and the author of Une querelle avec Alain Badiou, philosophe (2007). 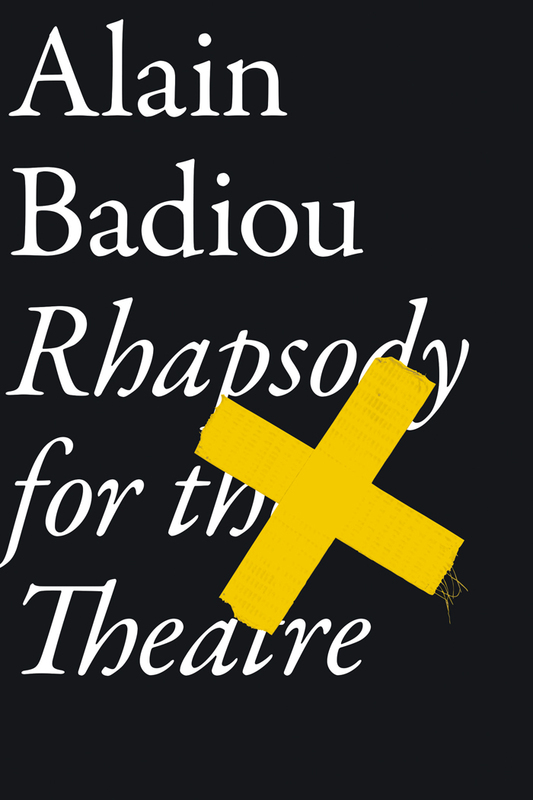 Marty had begun his querelle with Badiou as early as 2000 when he criticized Badiou for his enthusiasm for the ideas of the Cultural Revolution in China. 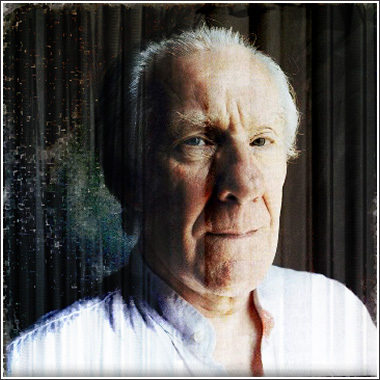 By 2006 Marty published a full on attack with an article titled ‘Alain Badiou: the Future of a Negation’ in Les temps modernes. 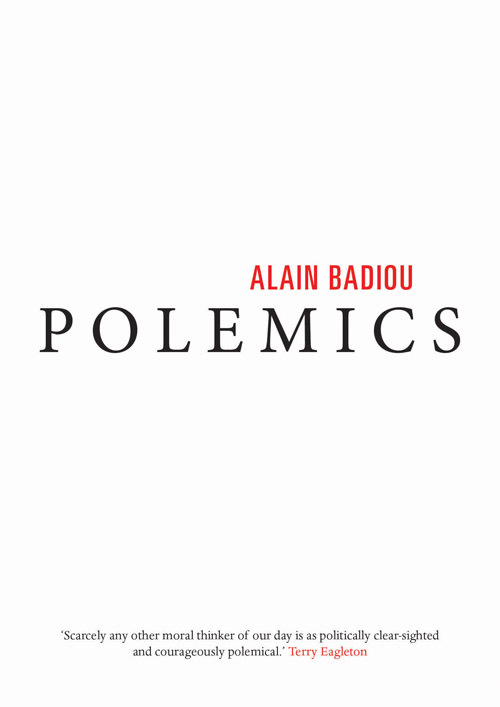 The ‘querelle’ continued with Badiou’s response to Marty titled ‘The Word “Jew” and the Sycophant’, in his book POLEMICS. 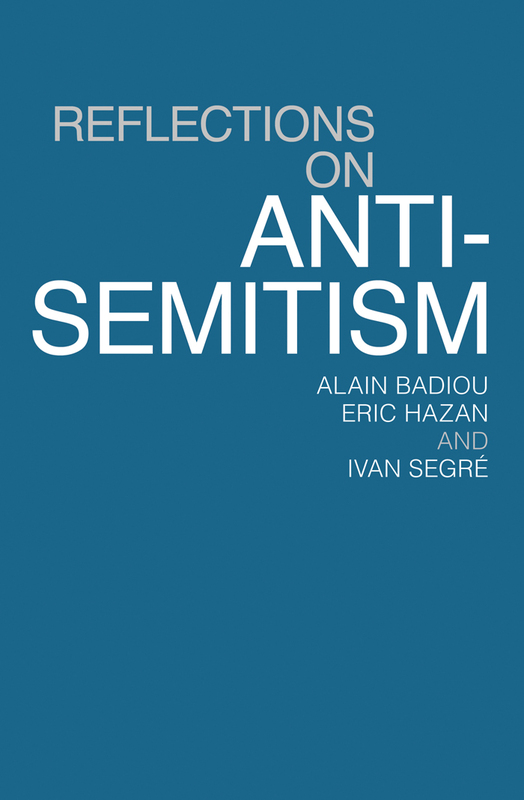 Reflections on Anti-Semitism, a book co-authored with Eric Hazan and Ivan Segré, set out to definitively dispel all accusations of anti-Semitism against Badiou. Still, in July, the debate heated up once more with the publication of Gérard Bensussan’s article in Libération titled, ‘The far Left has done what the far Right only dreamed of.’ There Bensussan, a professor of philosophy at the Université Marc Bloch in Strasbourg, charges Badiou and the far left critics of Israel with helping to restore anti-Semitic sentiments in France. Below are several responses to Bensussan’s article. 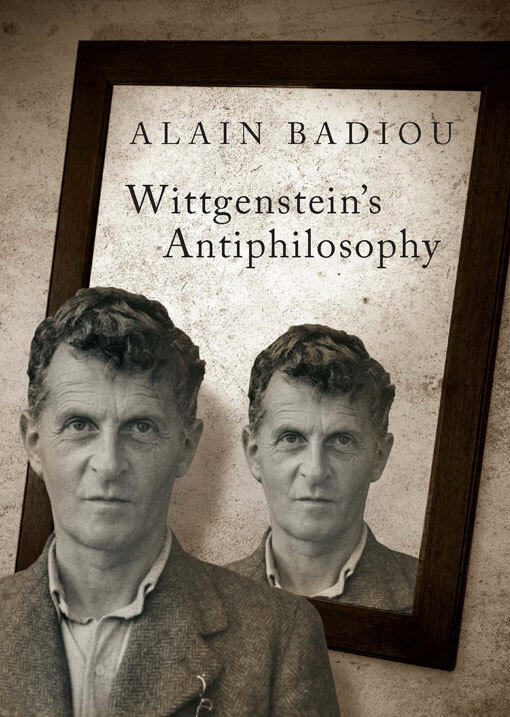 The first is Badiou’s retort followed by a response by Cécile Winter, the author of the essay 'The Master-Signifier of the New Aryans', which is published in Polemics. The final response comes from Ivan Segré, a Talmudic scholar and co-author with Badiou of Reflections on Anti-Semitism. From the heights of his professorial position at the University of Strasbourg, Mr. Bensussan sallies forth with the claim that I am not only a witless trader in empty ideas – the least that you can say of me, from such a lofty standing as Bensussan’s – but that I am somehow the founder of an alleged ‘far-Left anti-Semitism’. The first point can be left to the judgement of public opinion: I have no problems if those who prefer Professor Bensussan’s great intellectual contributions to my own mediocre efforts want to make themselves known. The second point, as I already said in regard to certain of his foregoers, is a matter for the courts: other than the fact that there could be no such thing as a far-Left anti-Semitism – an absurd oxymoron – I challenge anyone to find a single line in any of my works that could be called anti-Semitic. But I have no love for the states that exist (and, I might add, that includes the French state no less than the state of Israel), nor, in consequence, for the courts. Instead, I’ll simply give Professor Bensussan a smack in the face if I ever come across him, which will be a richly deserved reward for his muck-spreading rhetoric. The liar’s references to the 2004 book on the Uses of the word Jew are all inaccurate, as is necessary in order to serve the counterfeiter-author’s purposes. Moreover, they are all essentially extracts – if you can call such poisonous misrepresentation a matter of ‘extracts’ – from Cécile Winter’s contribution to this book. I thus associate Cécile Winter with my own right to reply, and she is the author of the following text. Mr. Bensussan has indeed shown himself to be rather loose with names and facts, so it is no surprise that he attributes to Alain Badiou certain misrepresented quotes from my article in the book, even though it was expressly signed under my own name, Cécile Winter. So I think that I ought to reply, and will do so by making three points. 1. He says that I wrote – though he attributes it to Badiou – that ‘the name “Jew” is a Nazi political creation’. I ask – let’s just take a look at the text. I wrote: before Hitler there were Jews, as individuals and as a people, but Hitler made ‘Jew’ an ideological signifier and official classification justifying their extermination. Does Mr. Bensussan not agree? Bizarrely – or not – it seems that yes, he does object to the idea of a ‘Hitlerite invention in service of extermination’, seeming to believe that Hitlerism was nothing new under the sun. 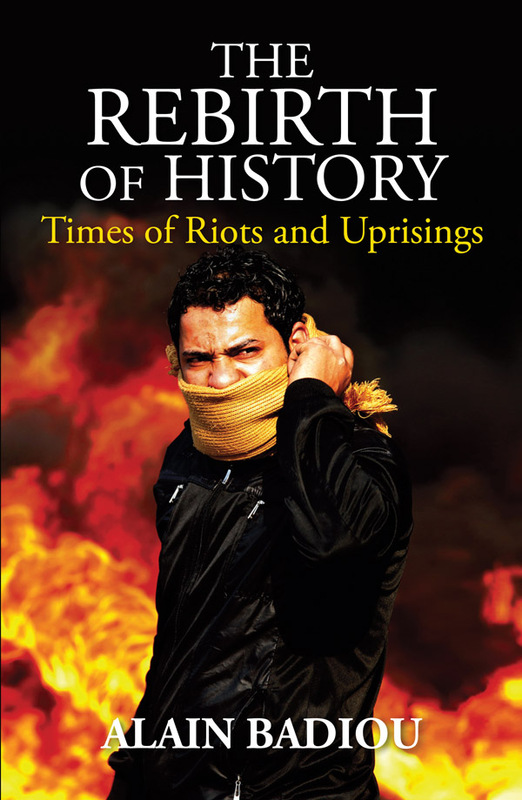 When he calls for the study of circumstances, for ‘a concrete analysis of a concrete situation’ (even if we understand, and indeed can see, that this context no longer exists), I can only refer to the historian Raul Hilberg’s detailed study of this process, in his The Destruction of the European Jews. I then said that this signifier ‘Jew’, which is held up as the alpha and omega of explaining the events of the last world war (‘the Jews were exterminated because they were Jews’, full stop – which was indeed Hitler’s point of view’), a signifier associated with the Nuremburg trials’ invention of the notion of the Crime against Humanity, serve as a screen and form of intimidation that themselves also prevent ‘a concrete analysis of a concrete situation’, that is, a detailed historical examination of what really happened at that time. For my part, I maintain that it is important clearly to understand what happened to millions of human beings (rather than happening to the abstract notion of Humanity), who were indeed millions of Jews (and not ‘the Jew’ as such); but that a detailed examination of the facts necessarily demands that we understand the attitudes on all sides at the time, notably those of the Allied governments and armies – what did they do, all of those to whom the Jews made desperate appeals for help? These governments and armies preferred to consider what happened ‘unthinkable’, sending it off into the sky of Great Capitalised Events. Finally, I said that the State of Israel, the so-called Jewish State, had substantially benefited from being able to instrumentalise this Allied response. Namely, making use of this very evident Western culpability in order to justify Israel’s policy in its own situation, which is not at all the situation of the Jews of Europe, but rather a situation in the Middle East where its problem is how to deal with the consequences of establishing itself in a territory – indeed, a small one – where another people already lived. That is, the difficult problems of managing a colonial project. And I concluded that the intimidatory use of the signifier ‘Jew’, serving to forbid any scrutiny, any critique – with the immediate allegations of anti-Semitism – does not serve the people, whether Palestinians or Israelis, who are born and must live their lives out there, even if it does serve Mr. Bensussan and the many others who make a terrible outcry in France but would perhaps not be so keen on their children having to serve in the Israeli army. So I say that it is these latter – perhaps they might tell us why they do it, for once – who are brandishing the word ‘Jew’ against the Jews. 2. Mr. Bensussan, longing for the days when ‘support for the Palestinian people’s movement for national emancipation was compatible with an unconditional attachment to the State of Israel’, seems to be regretting the demise of the two-state solution, a failure which he blames on ‘Badiou’s intervention’. Which is some tribute to the power of an ‘ectoplasm of thought based on empty hypotheses’! Again here, perhaps we ought to adopt the method of examining the circumstances. The country in its totality, Palestine-Israel or Israel-Palestine, is a small one, and it is a fact that, like it or not, people live together there side by side, both Jews and Arabs, Israelis and Palestinians – which is also a notable effect of the Israeli colonisation of the West Bank. So apart from barking out your anathemas, what do you want, Mr. Bensussan and company? We can say what we want, what seems to us the only reasonable solution: a single country, one common state, where everyone can live and enjoy the same rights. And we even dare to say that people, peoples – wherever they may be, including in Israel-Palestine – are perfectly capable of living together: ‘we have work and holidays in common’. But yes, there are always foreign colonial interests who foment division, fear and hatred, even if not necessarily deliberately so. What other outcome can there be to a situation created by a process of colonisation? This land has seen the extermination of its original inhabitants by new arrivals, like in America, Tasmania or the Caribbean. Or what else? Do you really want to keep pushing Israel’s inhabitants toward the siege mentality of the pieds-noirs [French colonists in Algeria]? Who do you want to have believe that in doing this you are doing them a service, and that you are not pushing them into a corner – that if these people are all Jews it is not you who is making use of them when you cry anti-Semitism? You get het up about last week’s demonstrations, in which, you claim, there were ‘shameless attacks on synagogues’: which is entirely untrue. Indeed, I could refer you to the statement made by the rabbi of the Rue de la Roquette synagogue, saying that while scuffles did take place close to his synagogue – and not as part of the demonstrations that were called last week – no stones were thrown at the synagogue and it was not itself the target of any attacks. So, once again, I ask: what amalgam do you want to make, what petrol are you pouring on which fire? Last week’s demonstration was called by a coalition of organisations including, in the first rank, the Union of Jews for Peace and the collective of Palestine committees. After the protest, the representatives of these organisations held a joint press conference during which the representative of the Palestine committees said that the Prime Minister had banned the demonstration because he wanted to prevent ‘Jews and Arabs marching hand in hand’. This is exactly right: and it is these people who demonstrate together – just like the Jewish-Arab couples who stick photos of themselves up on the Internet – who show the only reasonable, peaceful and just way forward, and it is you, once again, who considers any Jew who seeks truth and justice as a nobody, or even worse… and you do so in the name of the struggle against anti-Semitism! Or so you claim. What are you trying to do, what do you want? 3. You claim to be troubled about the rebirth, in France as elsewhere in Europe, of far Right tendencies that are capable of drawing a section of working-class youth behind them, with people such as the Front National ideologue Alain Soral. What relation does this have to the Israeli-Palestinian issue? You begin by claiming that it is an example of this phenomenon, only then to say that there is nothing new about it, that it concerns a ‘very old hatred’, and draw on Lenin to claim that anti-Semitism is an ‘eternal continuity’. Very good, but why then do you do not concern yourself with this resurgence of anti-Semitism and what it might mean, but instead want to impute it to the demonstrations against the State of Israel’s military’s massacres in Gaza and the so-called ‘leftist’ criticisms of this intervention? In making such amalgams, do you think that you are helping the young people who have been misled, helping enlighten those who ‘don’t know the history’, as the Prime Minister put it? Are you not now instrumentalising them, too? To what end? The resurgence of nationalist, racist and anti-Semitic tendencies is a very bad thing, which we should criticise, attack, and expose for what it is, rather than exploiting it as you do. Today, on the hundredth anniversary of the First World War and the assassination of Jaurès, we can, we certainly must look back to that war, which the Sorals and the Dieudonnés portray as a ‘national’ example to the youth. And you, monsieur, what do you think about it? Don’t you want to teach them something about it? Would that not be a more urgent, a more useful task than forbidding all criticism of the massacres committed in the name of the State of Israel’s colonial nationalism, by crying anti-Semitism? Are these good wars? Or rather: for what perverse interests do they throw millions of young people into death and destruction? In a column dated 22 July the philosopher Gérard Bensussan – a man whose works on Marxism and on German Judaism are rightly acclaimed – sallied forth with the observation that ‘the far Left has done what the far Right had only dreamed of’. His starting point was the ‘violent demonstrations’ that recently took place in Paris, ‘featuring shameless attacks on synagogues’. He thus proposed to ‘retrace, very briefly, the genealogy of a singular, troubling phenomenon’. 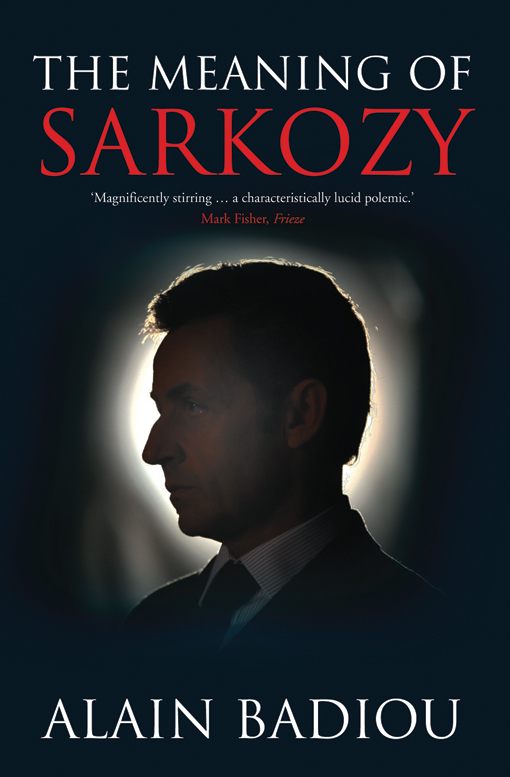 He writes that ‘the far-Right forces associating themselves with Dieudonné or Alain Soral have managed to integrate whole chunks of far-Left ideology into their discourse and practice’. Then he got to the heart of the matter: ‘there is little point’, he explains, ‘in getting angry about the surge of anti-Semitism within the terms of the habitual, conformist rhetoric-without-thought of militant “anti-fascism”, if we are not capable of meditating further, once again, on the shock effect produced a few years ago by Badiou’s ruminations on the “uses of the word Jew”’. 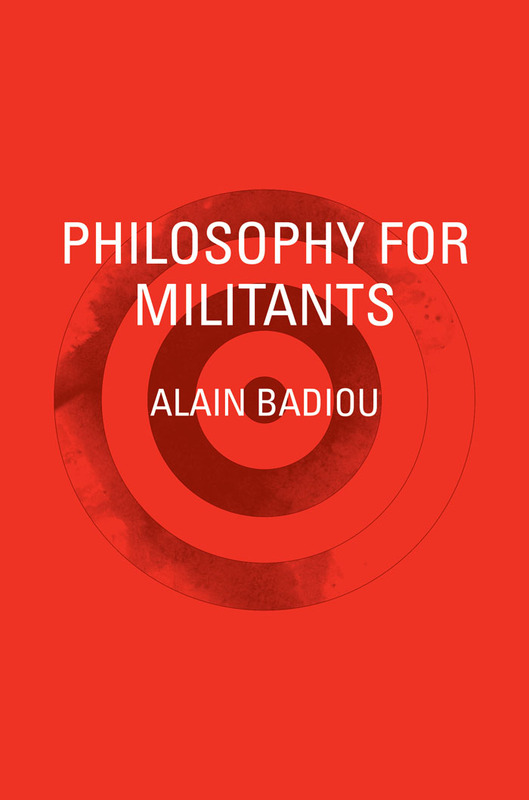 So, according to Bensussan, everything begins with the book by Alain Badiou published by Editions Lignes in 2005: ‘This text was a turning point, a palpable breach’. Les Temps Modernes was at that time home to the first antiphon voices, with an argument that was then repeatedly re-proposed by obscure disciples, to the point, alas, that Gérard Bensussan thought that he ought to serve it up to us again in the pages of Libération: namely, that Alain Badiou’s philosophy is, at root, a new anti-Semitism. The old anti-Semitism was racist, whereas the new anti-Semitism is universalist and egalitarian. 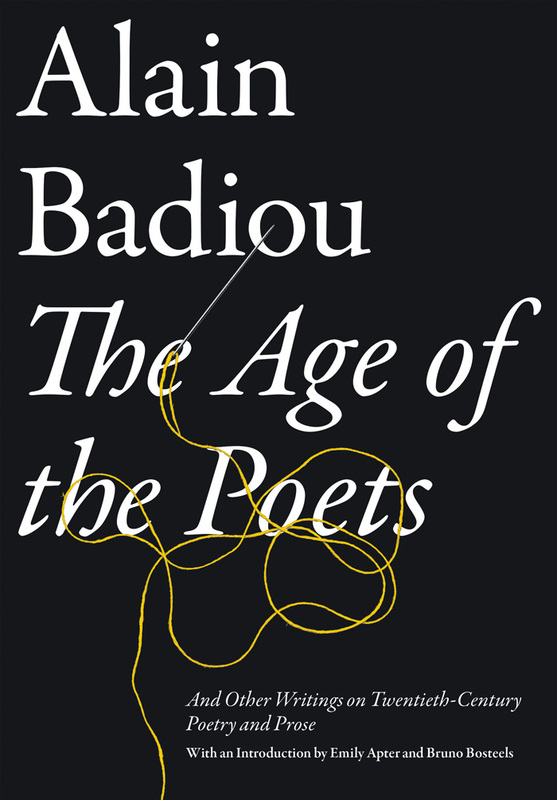 So, then, an outcry against Badiou. 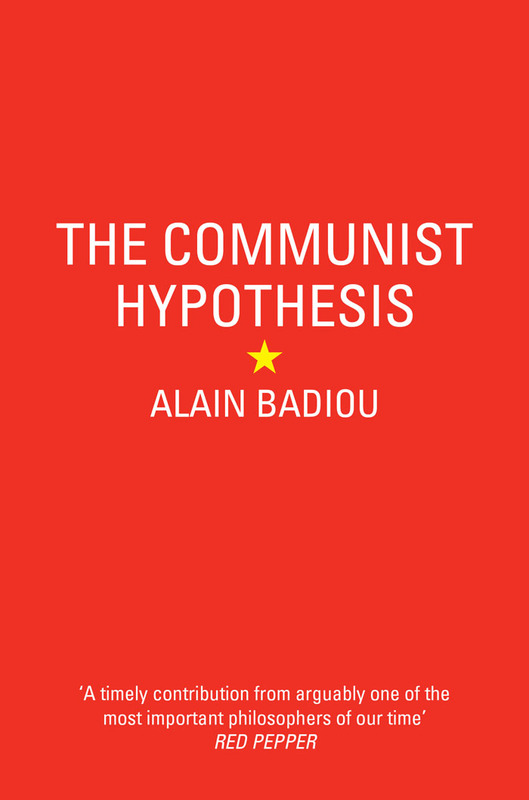 With the manipulation of a few quotations, punctuated by one or two deft formulations, well, Bob’s your uncle, it’s Alain Badiou’s philosophy that is ultimately responsible for the attacks on French synagogues, by way of Dieudonné and Soral. We should have known. Well, actually, perhaps I already had known. Indeed, I concluded a recent work Le manteau de Spinoza (La Fabrique, 2014) by remarking on the imminence of this dirty trick: ‘This policing apparatus’s raison d’être’, it said, ‘is to combat anti-Semitism. It has no cards left other than to characterise working-class theorists as anti-Semites, be that Spinoza, Badiou or anyone else … and that’s all there is to it’. And such was the course of action – oh, how predictable – taken by Gérard Bensussan. What can we say in answer to him? Let’s proceed in the same manner as he does. We’ll start from the facts, and then try and briefly retrace their genealogy. A demonstration in support of the population of Gaza degenerated. According to some, hordes of anti-Semites attacked a synagogue; according to others, Jewish Defence League (JDL) militiamen hurled insults and projectiles at the demonstrators and then took refuge in a Consistoire synagogue, under the protection of CRS riot police. So the nature of the ‘phenomenon’ in question is very much dependent on the version of events that you chose to believe. For his part, Gérard Bensussan did not ask himself about what kind of links might exist between the JDL, a company of the CRS and the officials of a Consistoire synagogue who made no complaints about their place of worship being instrumentalised by a far-Right League whose ideology and practices are disreputable, if not outright contemptible. And we know what followed from this: demonstrations in support of the population of Gaza were banned in France. A kind of French exceptionalism. So it would be interesting to bring to light what really happened. We need a transparent, objective, methodical enquiry. Bensussan already knows what he thinks: there were ‘shameless attacks on synagogues’. Another thing: we speak of the war between the Israeli state apparatus and Hamas. But is this really a war? On the one side there are dozens of dead Israelis, the overwhelming majority of them soldiers who were killed in action, and on the other side hundreds of dead Palestinians, the overwhelming majority of them civilians – ‘collateral damage’ of ‘Israel’s right to defend itself’. What does Gérard Bensussan think of this? Apparently he has his own understanding: the State of Israel was shamelessly attacked. Another thing: it seems that an ‘Islamic State of Iraq and the Levant’ might now come to pass. This is a singular phenomenon, whose genealogy is most interesting. There was Iraq’s war of aggression against Iran, with the West actively supporting Saddam Hussein, who was tasked with building a rampart against the rise of Islam; then there came Iraq’s invasion of Kuwait, and then a bombing campaign against Iraq; then the years of sanctions against Iraq, a second bombing campaign against Iraq and the American protectorate in that country, which was itself accompanied and followed by a civil war, finally resulting in the self-proclaimed caliph Ibrahim al Baghdadi and his dark vision of Islam and the world. So to summarise: the Israeli state apparatus is carrying out a small scale version of what the United States has done on a wider scale with Europe’s blessing. In view of recent developments we might call this the ‘imperialism of fools’, distinguished not so much by its murderous dimensions (think of Syria) as by the tragi-comic character of its past, present and future results. So forgive me, Gérard Bensussan, but it’s really no use. I am on the side of the ‘march for equality’, which rallied the banlieue kids at a time when the idea of equality was not categorised under the heading ‘left-wing anti-Semitism’, just as I take side of the universality of truths so dear to Badiou, following Spinoza; just as I take the side of the teachings of the Talmud scholars, which certain otherwise brilliant Jewish intellectuals would do better to draw on, rather than kneeling down before the idol. Originally published in Libération. 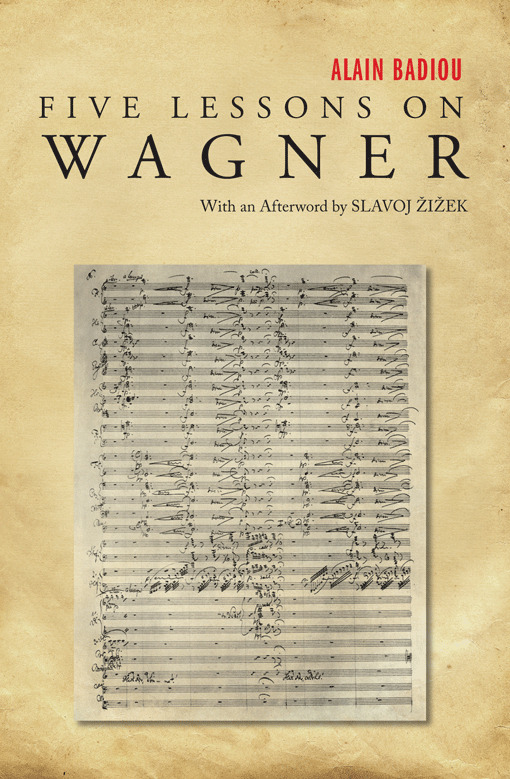 Translation by David Broder. 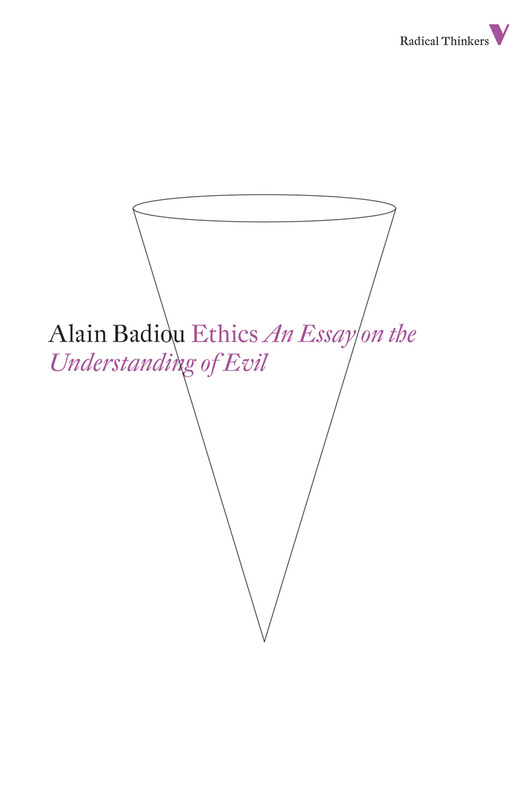 To read Badiou and Hazan's 'Anti-Semitism Real and Imagined' on our blog click here. 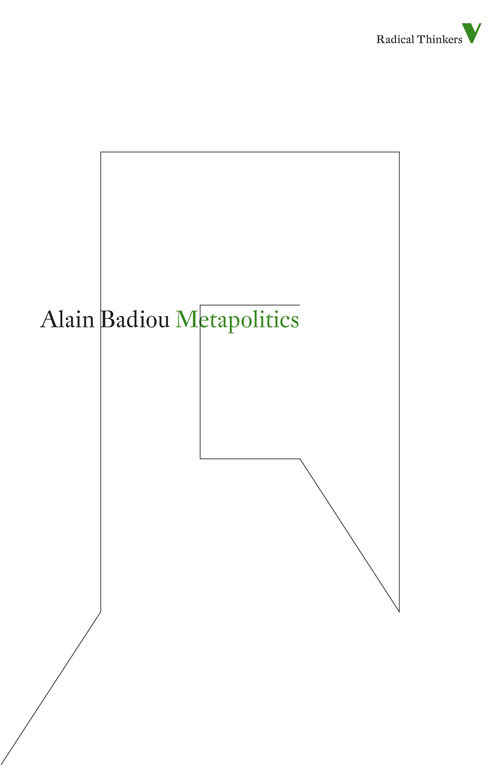 Click here to view all of Badiou's books published by Verso. by Alain Badiou, Eric Hazan, et al.